One of the issues with the low end Nokia Lumia devices is the low RAM that powers these devices which often leads to many games and apps not being able to install and run on these low RAM devices. One of most popular games Temple Run shared a similar fate and till now it was not possible to run Temple run on devices which have 512 MB RAM. Looks like, the developers heard the feedback and the latest update from them fixes this issue. 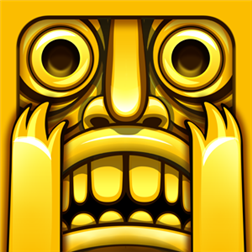 The latest temple run update now supports the Windows Phone 8 devices which have 512 MB RAM and these device can now play Temple Run. The news is though not so good for devices running Windows Phone 7.5 or higher but not WP8. Temple run wont run on those devices with 512 MB RAM still. Even some of the recently released Lumia devices like Lumia 620 and Lumia 720 come with just 512 MB RAM which simply means that many apps and games cant run on these devices. If you own one of those Windows Phone 8 device with low 512 MB RAM and also love Temple Run, just install it on your device and enjoy.